The VELUX sun tunnel bypasses all obstacles, using an adaptable reflecting tube to direct daylight into every corner of your home. The effect is brighter and more comfortable living areas. Flashing kits that are designed to integrate your VELUX skylight or roof window perfectly into the roofing material, ensuring a sleek watertight installation. 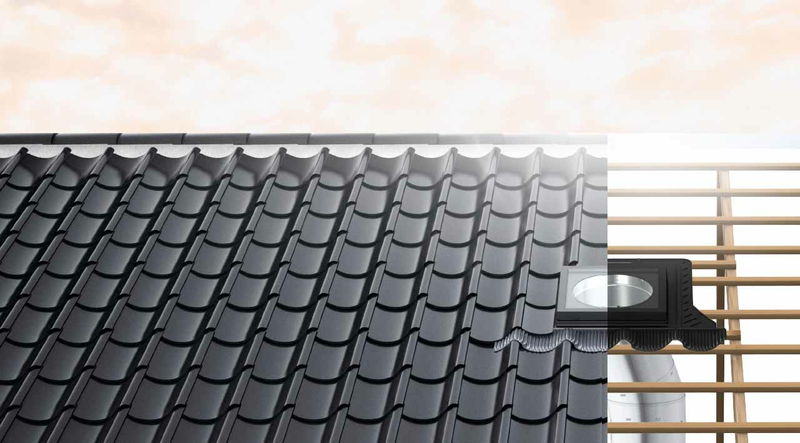 With thanks to a recent Rooflink article, we have some much needed clarification on the suitability of custom made flashing with VELUX skylights and roof windows. Because of their location, Skylights are exposed to all kinds of weather. VELUX skylights are thoroughly tested to make sure they meet, and surpass, New Zealand Building Standards. See how you can add daylight and fresh air by adding VELUX skylights in specific rooms. Daylight brings indoor spaces to life in ways that a simple light can’t. Experience the changing light of the day with sun tunnels available from $490 incl. GST. The flat roof module looks great on any pitched roof. Toughened glass pane with easy-to-clean coating makes sure that you get the maximum daylight at all times. Select the correct sun tunnel for you by using the daylight calculator. It uses your location, orientation, roof pitch and room type to suggest the correct solution. The new Flexi Loc system reduces tunnel assembly time significantly. The rigid tunnel is easier to work with and gives room for movement and adjustment while providing installation stability by locking the pieces into place. New roof module with removable sash ensures quick and easy installation from the outside. Drop the light tunnel into place from the roof. There’s no need to enter the attic or loft; the light tube is now easy to install in tight spaces where attic access is not possible. The VELUX sun tunnel is easier to install thanks to the threaded diffuser. When you’re finished, simply screw the diffuser into place. And, as an added bonus, it’s easier to clean as it can be unscrewed and cleaned as needed. Natural dynamic daylight brings your indoor spaces to life in ways that a simple lamp can’t. Bring spring’s energizing rays to areas that you never thought possible or let summer sunshine bring out the best in your home. It’s not just sunshine that you’ll be able to experience. Changes in weather, passing clouds and even moonlight are reflected through the sun tunnel to give you a totally unique ‘living’ room. 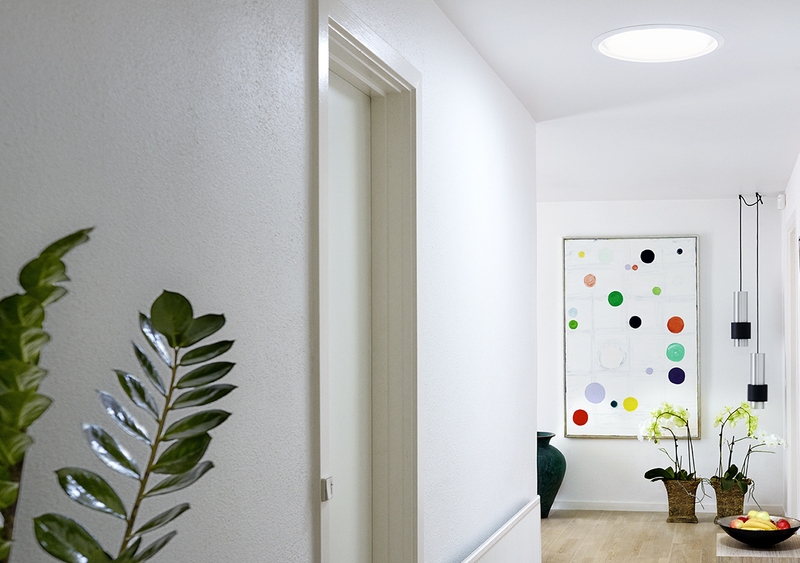 The new VELUX sun tunnel diffuser pane comes with EdgeGlow, a ring of clear glass that offers spectacular light effects. EdgeGlow gives a better spread of light throughout the room, letting you experience the changing light of day like never before. Only VELUX sun tunnel offers EdgeGlow.